The more time your child spends struggling with cursive writing and printing, the less time they have to dedicate to their learning and schoolwork. The connection between printing, cursive writing and learning should never be ignored or overlooked. Handwriting- whether cursive or printing or both- is an essential skill set for both children and adults. Even in this age of technology, handwriting remains a primary tool of communication and knowledge assessment for students in the classroom. Your child still spends a good part of the school day using cursive writing and printing skills! Daily handwriting practice is important. or have problems connecting their abstract thoughts and expressing themselves. 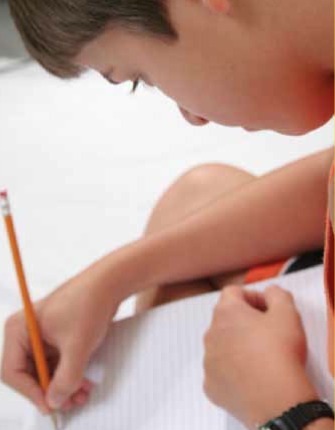 The sooner you identify your child’s handwriting problem, the sooner you can determine whether handwriting represents the visible tip of a larger issue, and the sooner you will be able to help your child! How quickly your child writes. As a general rule, the faster your child can write without compromising their legibility, the greater their writing abilities. These four indicators give you a good idea how well your child can write and whether they are experiencing writing problems. 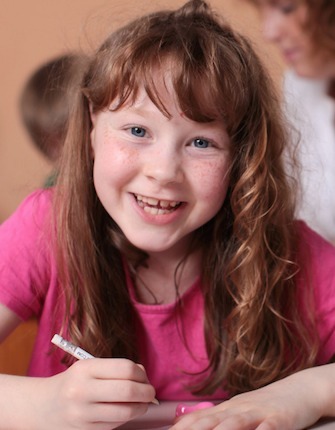 If your child is only beginning to write, they still provide a good basis for measuring progress, and determining whether their cursive writing appears to be improving in any measurable way. With 20 years’ experience as an Occupational Therapist working both with children who have disabilities and children who are typical learners, I have seen parents and children face countless challenges learning fine motor skills. After all, printing and cursive writing are simple and natural skills to learn, right? As adults, we may remember our own classroom experience learning to print and write and with years of practice, we’ve become proficient. However, what we remember as the ‘proper’ way to teach a child to print and learn cursive writing may be misguided. Learning to print and write is a step-by-step process. It requires developing and coordinating fine motor skills before even picking up a pencil to print letters on a piece of paper. These steps need to be learned and then practiced countless times! Claim your FREE Improve Handwriting and Fine Motor Skills eBook to help your child master printing and cursive writing in the fastest, easiest way possible.